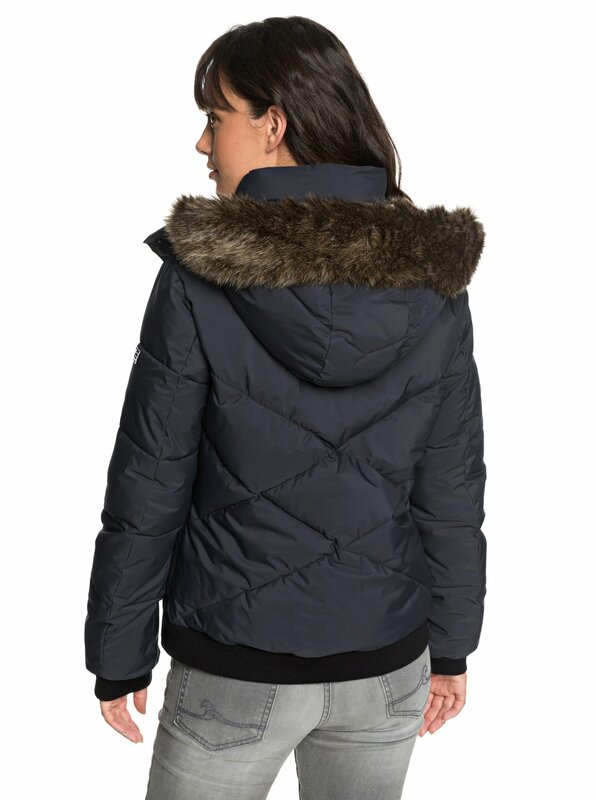 Feel the power of PrimaLoft® Gold Luxe with the Hanna quilted faux-down bomber jacket for women. 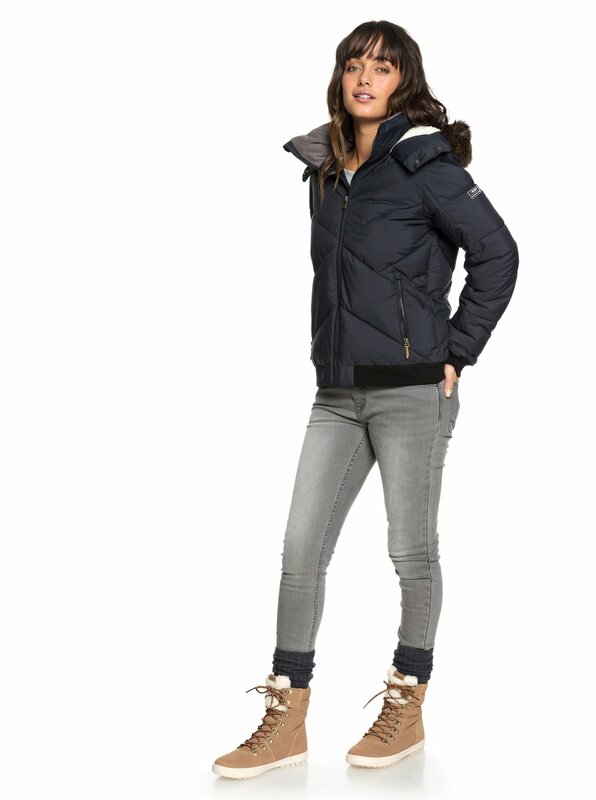 The unbeatable wet-weather performance combines with 10K waterproofing and our warmest insulation for unmatched protection in harsh winter weather. 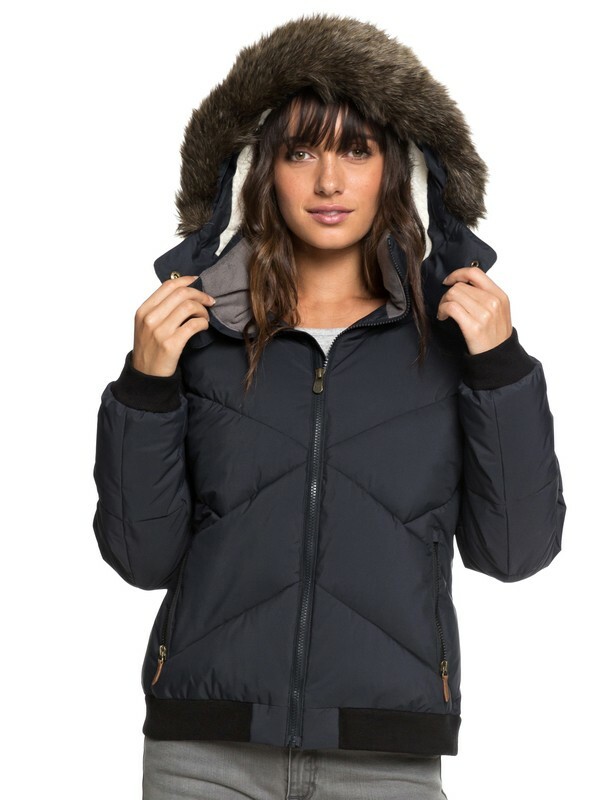 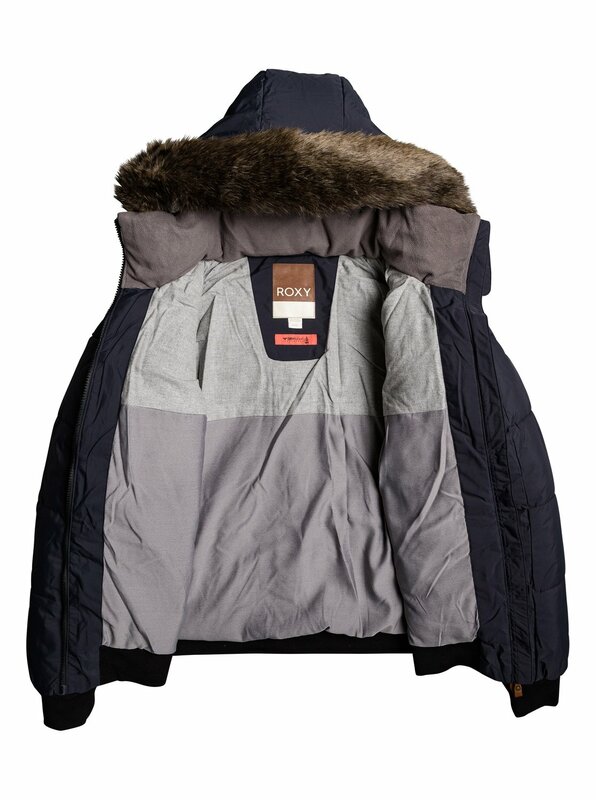 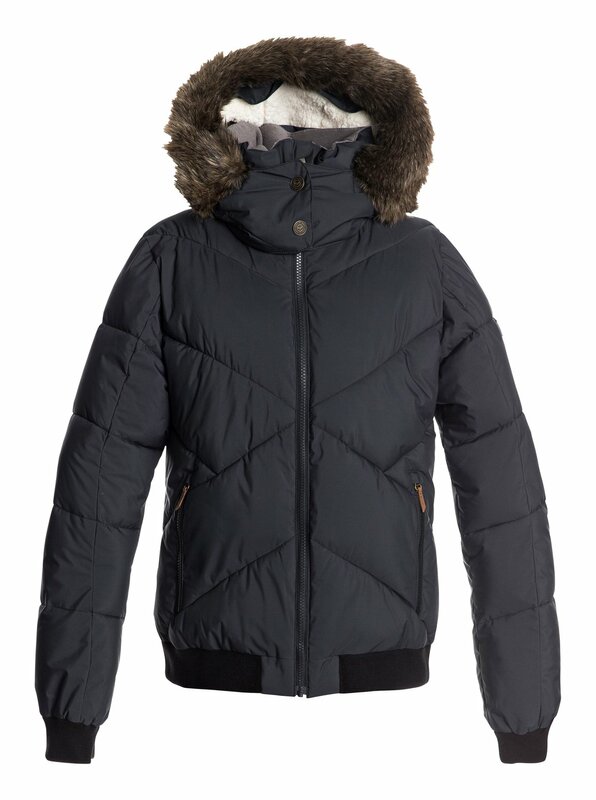 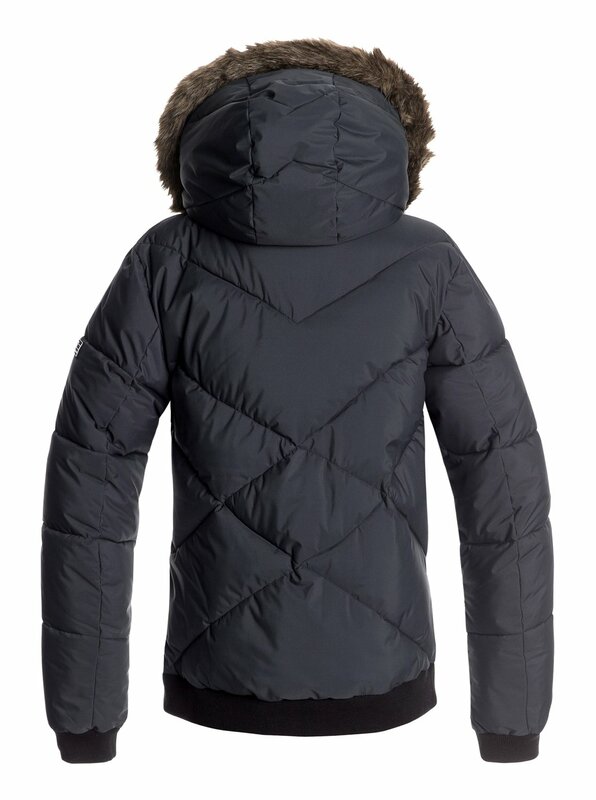 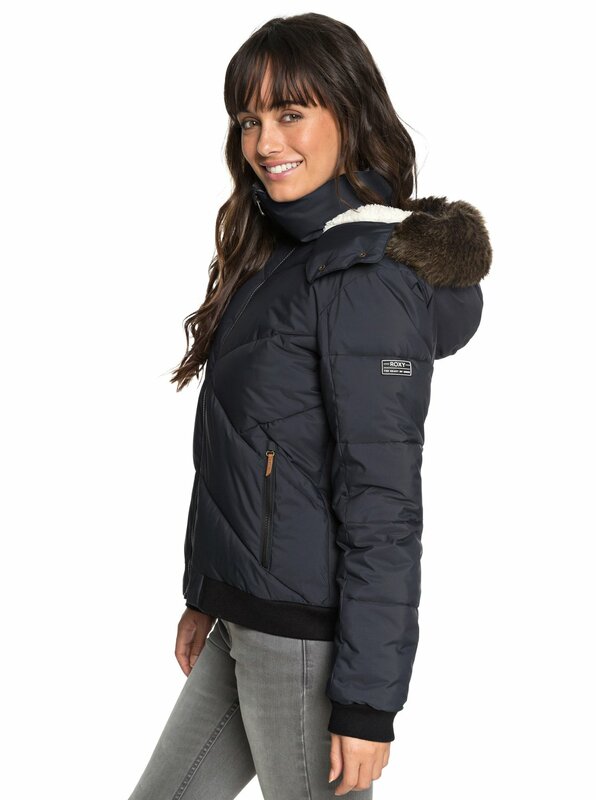 Featuring a cozy sherpa-lined hood and a ROXY HydroSmart collar enriched with an all-organic formula to create a cozy cocoon against the elements.